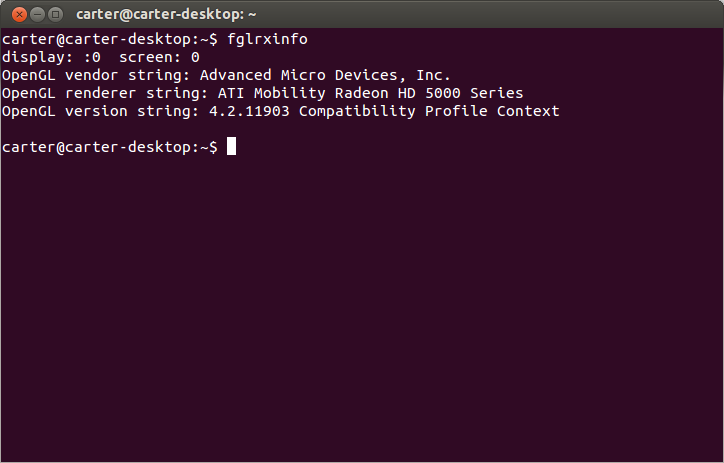 I have a laptop with ATI Radeon 6770M HD Hybrid graphics card. 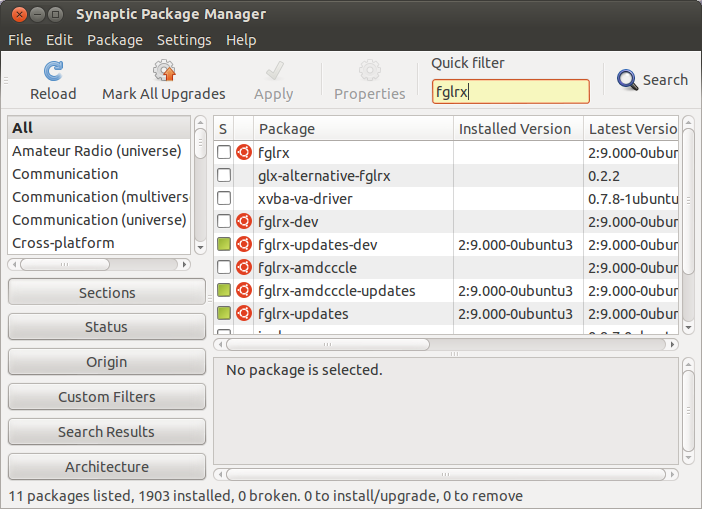 In Ubuntu 12.04, I installed the fglrx driver through "additional drivers" and it worked. (I can even switch GPUs). But in the new Ubuntu 12.10, after installing, Unity won't load. Only the mouse and the wallpaper. If I initialize the settings sudo aticonfig --initial then after rebooting it gives a warning saying I'm in low graphics mode! How to fix this? I noticed that many with Nvidia cards were having to do this and am sure I saw mentioned some-where that it also helped ATI users. Like everyone else if I installed either of the proprietary drivers after reboot I was able to login but lost unity. Now the Catalyst control centre was installed. Upon rebooting however instead of being able to login with no Unity the system was hanging at the splash screen. Now my computer is pretty slow but a least I can use it and wait for the problem to be fixed. Save the file via CTRL + X and sudo reboot. You may not have to uninstall fglrx, but I do not know. Go to amd.com and download their latest beta driver (which was just updated to 12.11). Run and install. Please note that the stable driver will not work with unity. I always say "search for open and confirmed bugs" before you proceed with something, especially when the distribution is new released. You can participate to this bug if affects you ,by posting comments there and click the button "Yes it affects me" (you have to have a Launchpad account). I got the same problem. May i found a possible solution. 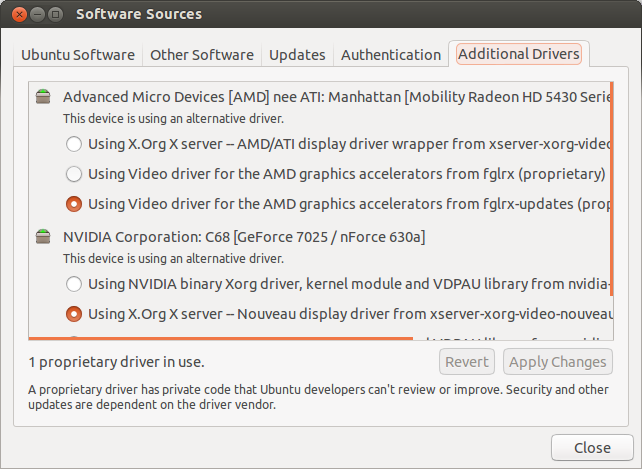 First i opened the Ubuntu-Software-Center and i was looking for "additional drivers". After installing the "additional drivers" i installed the ATI driver and after a reboot my notebook startet normally with unity and with the right propietary driver. Note: The installation from the Software-Sources-button was not working in my case. Not the answer you're looking for? Browse other questions tagged ati hybrid-graphics or ask your own question. Ubuntu 15.10 stuck on booting after installing proprietary amd graphics drivers?